The foundation of our bodies and our yoga practice lies at our feet. 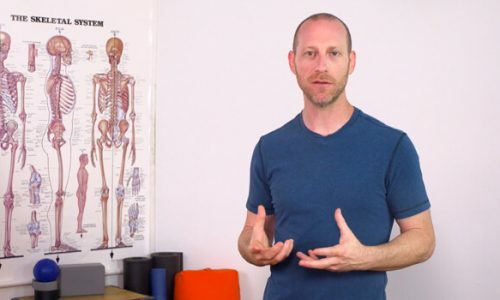 In order to incorporate both physical and energetic foundations, we must examine our body’s center of energy, movement, and balance which begins near the psoas muscles. The psoas muscles are the pair of deep muscles extending from the sides of the spine to the femur that are activated in yoga postures like forward bending (paschimottanasana) and boat pose and lengthened in poses like warrior I and bow. To understand the psoas muscles, we first need to describe some of the surrounding structures. Imagine looking at a body from the front (anterior) then stripping the skin away (yes, a bit gruesome). Peel away the layer of muscles over the abdomen and then remove the organs. You’ll now be looking at the front of the spine with its large vertebral bodies sandwiching those sometimes not-so- happy, but very important discs. You’re now looking at your back/spine from the front. Looking down a bit you see the inside of your bowl-shaped pelvis with your sacrum towards the back and the pelvic floor muscles in place connecting your sacrum to your pubic bone. Lying over the front, and to the sides of your pubic bone, is a thick muscle that heads up to the sides of your vertebral bodies and drops down to connect to a spot on the inside and back of your thigh bone (femur). This is the almighty psoas. The psoas gets a lot of attention, and for good reason. Roughly triangular in shape, the top of the psoas attaches along five vertebral bodies starting at the last thoracic vertebrae (T12) and continues to attach to each vertebral body, usually terminating at the next to last Lumbar vertebrae (L4). This completes one side of the triangle. From the ends of this side, we create two more sides that slowly come together and attach at that spot on the femur. Because the psoas is triangular, the different portions of the triangle can have a different effects on the spine, and therefore the body. Usually when we describe a muscle and the action that it does, we talk about the bone that it moves, in this case, the femur. The psoas insertion is on the femur. Movements happen at joints, so whichever joints are crossed by the psoas have the potential to be moved by this muscle. With the spine stabilized, as it mostly is, the psoas allows us perform flexion at the hip joint as in a forward bend. What happens if we stabilize the femur? Can the psoas then move the spine? You bet, and at this point we’ve reversed the origin and insertion. If we stabilize the femur, the upper half of the triangle has the potential to pull the spine down and forward as it attaches to the last thoracic vertebrae. The lower half of the psoas pulls mostly on the lumbars and therefore pulls them down and forward which would makes the pelvis tip forward and down. This sometimes shows up as a sway back. If you stand up and tilt your pelvis down and forward you’ll probably feel how short your low back gets. Back pain anyone? How does the psoas show up in our yoga practice? Probably the most powerful place is in back bending in all variations such as cobra, bow, and camel where we lengthen and open the front of our bodies. Backbending is an important action that reverses most of what we do all day: sitting, driving, working on the computer etc. A tight psoas, along with other muscles make back bends very difficult. When back bending, it’s often a good idea to tuck your tailbone (the opposite of the action described above). This will give length to your lower back. Yoga is about creating length in your body; find it wherever you can in your poses. Aside from back bending, the psoas muscles are commonly used in forward bends to pull you down and forward. All too often people rely on their arms to pull them forward. Because the psoas also helps regulate balance, it is used in every standing yoga posture to stabilize the upper and lower half of the body. Our center of gravity is roughly at the top of our sacrum, and psoas just happens to pass on both sides of this sacred bone so it helps regulate balance around our center of gravity, which is where movement comes from. If you look at the space between the top and the bottom of the psoas, you will find some interesting pieces of yogic anatomy. Within its span are the lowest three chakras which control our instincts for survival, sexual energy and power. If you incorporate bandhas (internal energetic valves) into your practice you’ll find the mula and udhiyana bandhas within the realm of the psoas. If you come from this place, both physically and energetically, you will have an amazing practice. An example of someone who moved from this space is Fred Astaire who gingerly floated a few inches above the ground as he danced. His movement originated from his psoas. I doubt that he was consciously aware of it, but his movements emanated from his psoas to his toes and fingertips. I’m sure he didn’t know it, but he also utilized the bandhas and the energy to move his body. Just like any of the great yogis teaching out there now, Astaire mastered this area of his body and called on it regularly for strength and energy. Let’s do a sun salutation paying special attention to our psoas. With your weight evenly balanced on both feet, become aware of the space near the level of your navel. Imagine finding length from your psoas as your spine lifts from your center. Every time you inhale, feel yourself getting longer from your psoas and spine. Do your first sun salutation very slowly and imagine every movement growing and blossoming from this area of your body. After you’ve done a few Sun Salutations, find your way into warrior I. Sink into your legs and feel how grounded you are. From that very grounded and strong foundation, lift your torso out and up through your psoas; your arms are reaching from your psoas, your spine and head growing longer from– yes you got it– your psoas. 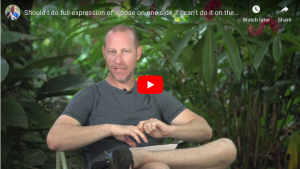 Now that you’ve explored the psoas and its relationship to the center of movement, I encourage you to bring that experience into your daily practice and see where it goes! Just happen to be sitting at the computer as your post came in. I haven’t gone back to read all of the post on nutation counter-nutation. Either way I’ll just answer your question straight on. The intention of tucking the tail-bone usually causes the entire pelvis to do what we would call a posterior tilt. Most people, there are of course exceptions, cannot isolate their sacro-iliac joint in movement. In fact, it’s a passive joint that moves as a result of other things moving. Either way, I vote for opening the hip flexors first so that the pelvis is already in a comfortable place. However, if you can tuck your tail-bone without just doing a squeeze of your buttocks and it makes space in your low back, that works for me. The nutation/counter-nutation post became a semantical debate about what is actually happening and how it actually happens. Regarding Fred Astaire, I offer the following as a former professional modern dancer.I can assure you that king Fred knew where his expression emanated from. That’s one great thing about professional dance training. Every movement, origin of the movement, and intention is examined, reexamined and practiced until perfection. Everyone can lift an arm overhead, but a dancer extends the arm from the very core of their being with deep connection and clarity. If their is any disconnection physically or psychologically at that moment, it can be seen. Thank you so much for writing this article. 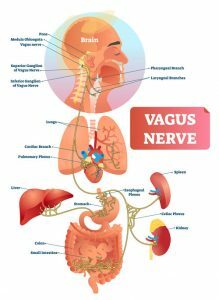 I was very curious about the connection between the body’s energy centers and the psoas muscle. For the past four years, I’ve had a sharp stabbing hip pain that neither my medical doctor nor my acupuncturist could diagnose. A visit to the chiropractor illuminated the possibility that the pain was coming from my psoas. Sure enough, both my chiropractor and massage therapist found that my psoas was incredibly tight and knotted, causing bone dysfunction. So we started a treatment program. I just came from a clinical massage and when I say that the moment my therapist released the muscle, I felt my spirit open and energy begin to flow again, I’m not exaggerating. I haven’t regularly practiced yoga for three years–can’t find a good ashtanga class since moving to Chicago–but in light of the recent discoveries I’ve found out about the importance of the psoas, I’ll be making my way back to the path. Also, I can now ride my bike with no hands again! No more leaning to the right. Yay for restored balance! I recently pulled my lower hamstring, which surprised me as I have both strong & flexible hamstrings. There was no explicit trauma, but I did take two vigorous yoga classes within a few hours of each other on the same day, the first was a fairly typical Vinyasa class and the second focused on backbends. I had a bit of back pain going into the classes, but found it was lessened by the movement & back bending. 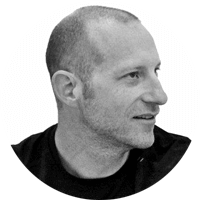 The next day there was a dull, migrating pain in my hamstring that convinced me to take the last week off. I have no sharp pain & no pain at the attachment site. 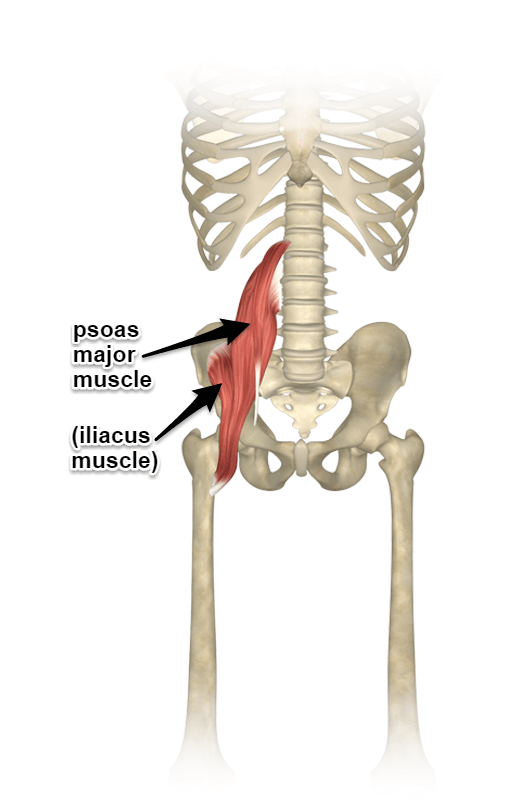 I just finished a session with a sports masseuse, & we found that I had the most pain-like sensation when engaging both the psoas & the hamstring. Could you speak to the connection between the posts and hamstring pain, or point me in the right direction?